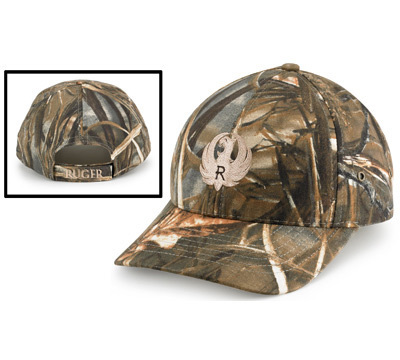 Low profile cap in Advantage Max-4 Camo with Ruger logo embroidered on front and 'Ruger®' embroidered on back strap in khaki. Matching adjustable hook-and-loop back strap. Made in the USA by Graffiti, Inc..
One of the nicest caps I have ever had.